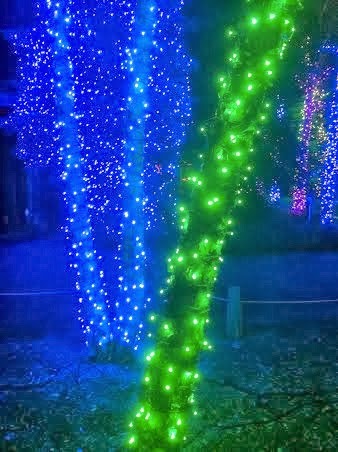 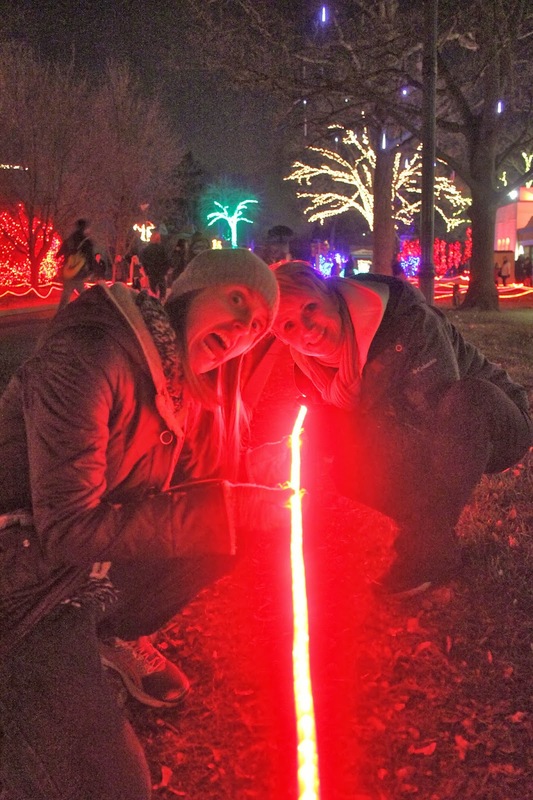 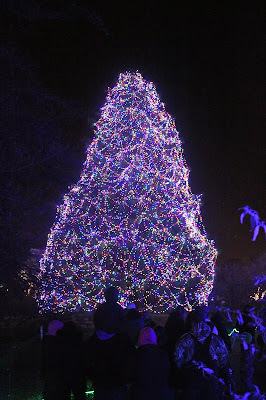 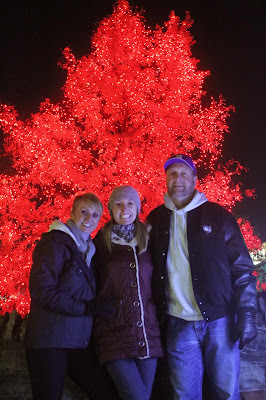 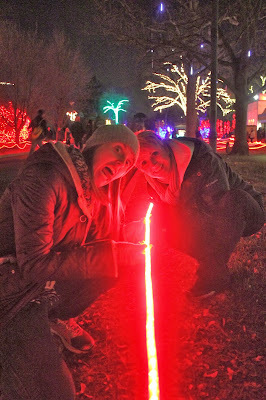 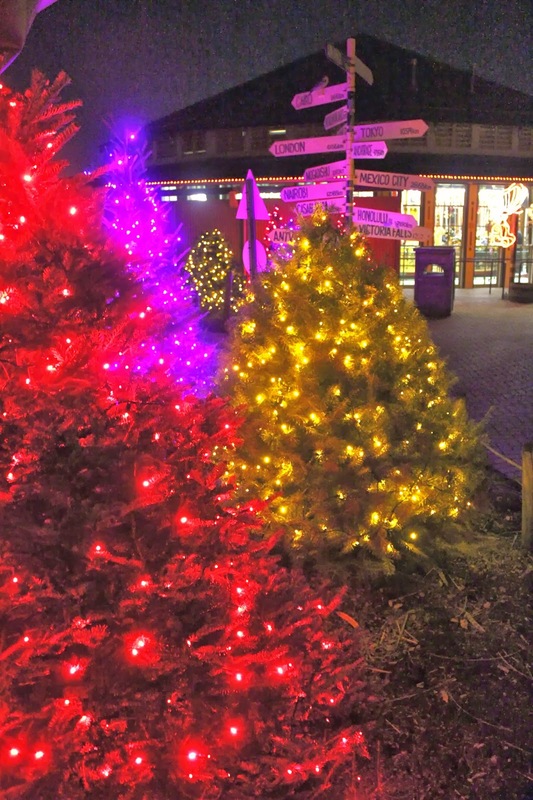 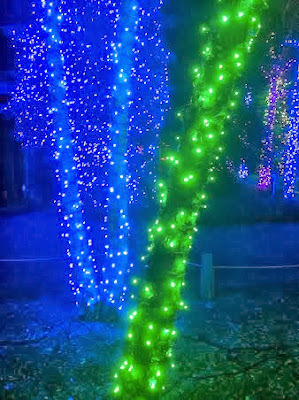 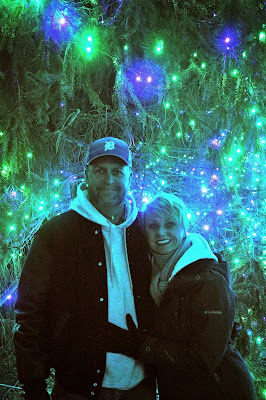 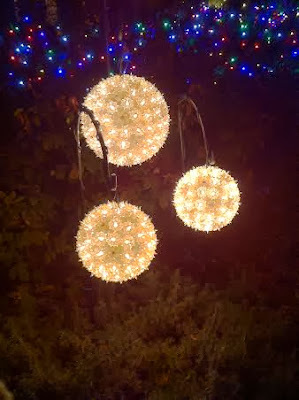 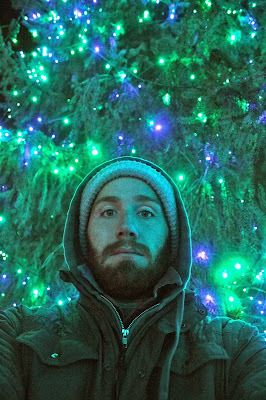 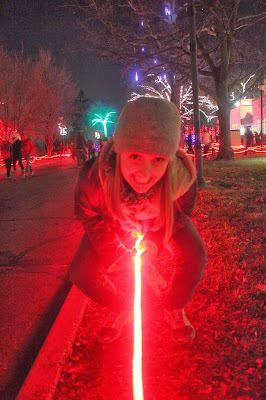 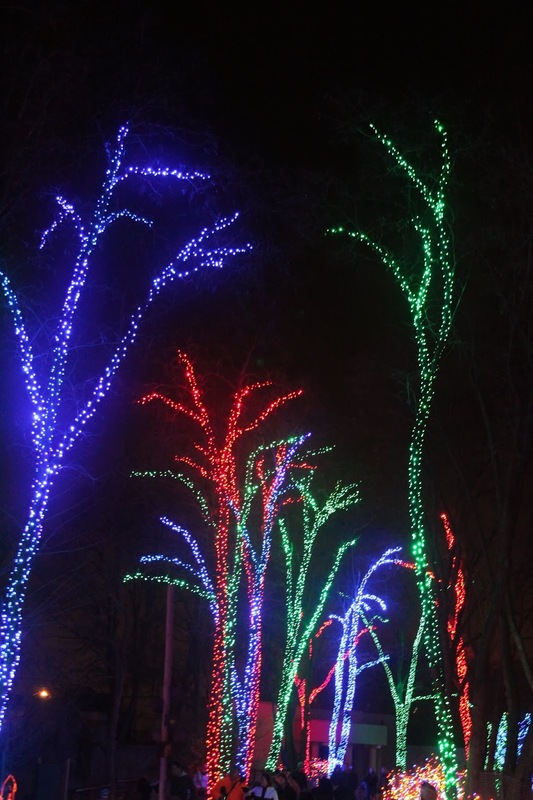 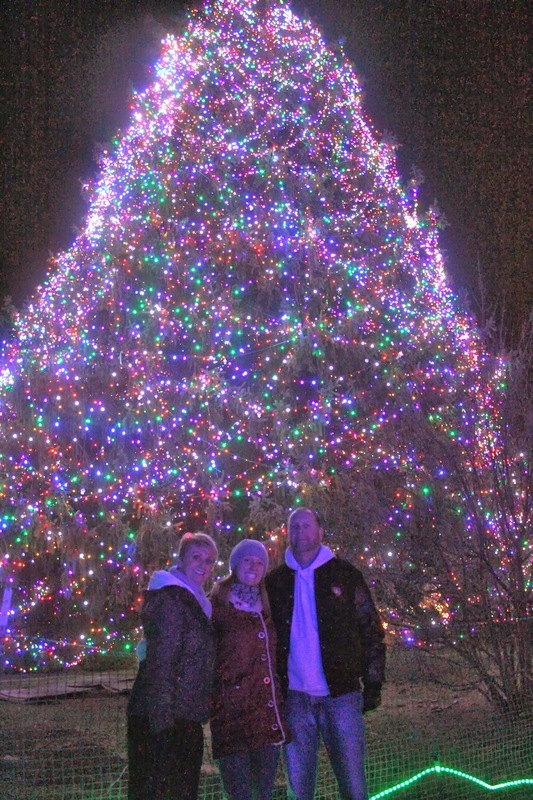 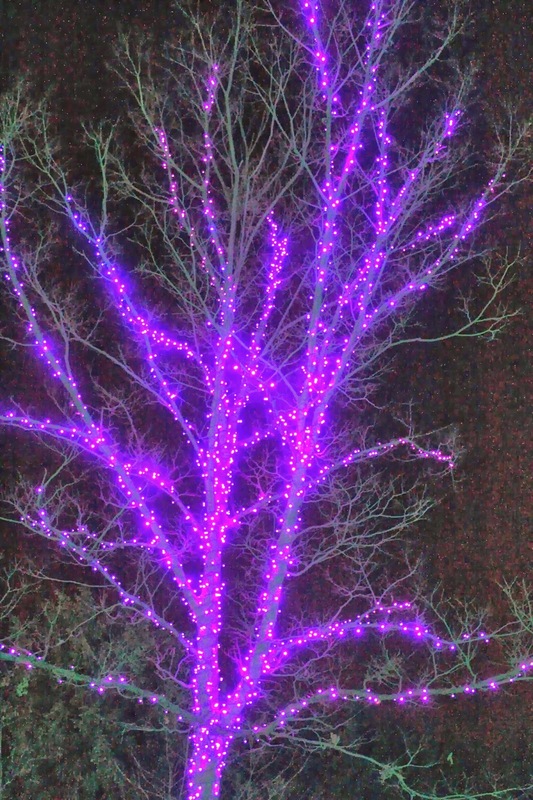 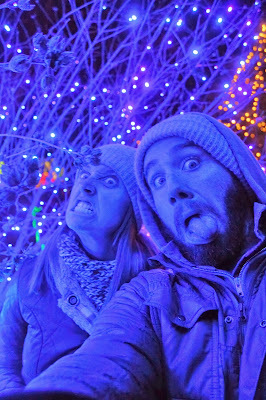 It is a Padot Family tradition to go to the Toledo Zoo and see the Lights Before Christmas. 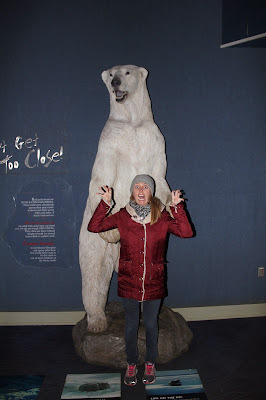 The zoo goes OVER THE TOP and it is SOOOOOOOOO AWESOME!! 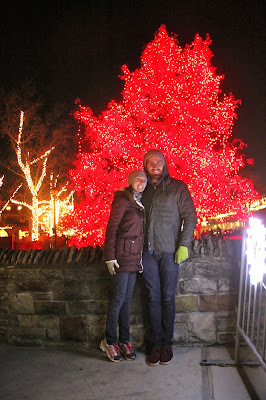 Normally, we go when we are back for Christmas, but since this year is Ryan's family's Christmas (and because the zoo was already open for the lights) we figured we might as well go over Thanksgiving. 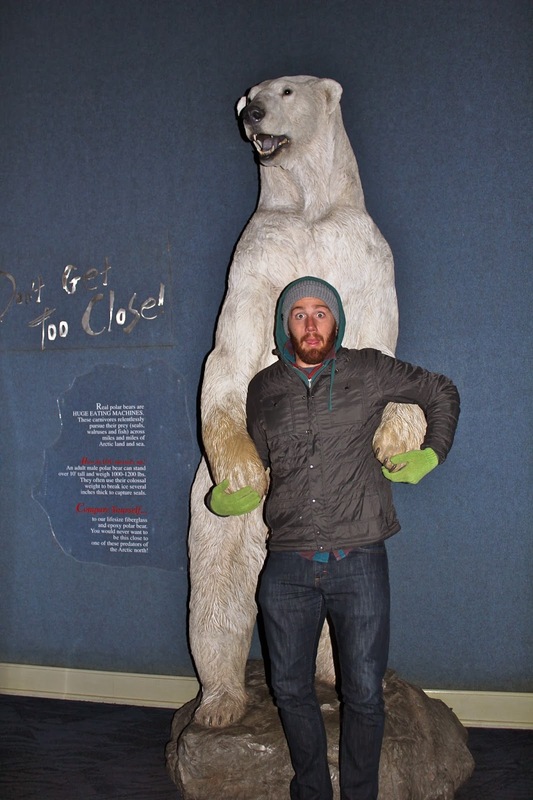 It is just crazy. 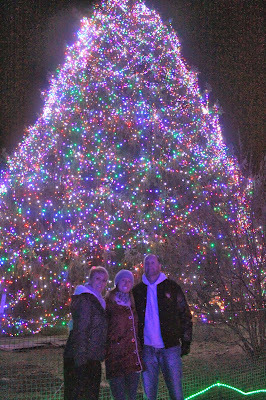 Every year we go we always comment about how when you are at the zoo during the summer you don't even notice the trees and then in the winter you are amazed at how many there actually are around the property.